Key Lime Pie confirmed as the name for Android 5.0? In the early summer of next year, Google will certainly the latest version of Android on the market. Whether this is the version 4.3 now but the more likely or major update to 5.0 is still unclear. But at least the name of the new version seems increasingly likely. For now a Google employee has indirectly confirmed the previously speculated names Key Lime Pie. Since Jelly Bean both Android 4.1 and 4.2 had to serve, many industry insiders expect from Android 5.0 Key Lime Pie. The staff published a self-drawn comic. Not only all previous versions can be seen, but also the future. 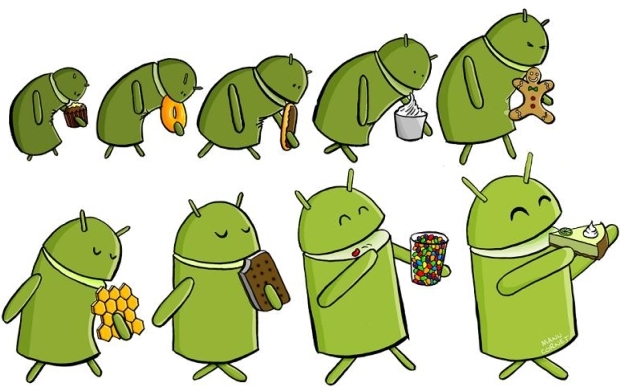 This shows the android as he crumpled a piece of lime pie with relish. Since, in addition to the J of Jelly Bean would be a K's turn now, so surely anything but Android would surprise 5.0 Key Lime Pie. At least now also leaves the subscription of Google Gmail employee Manu Cornet suggest.